PRESIDENT Rodrigo Duterte's decision on the proposed implementation of the second round of fuel excise tax increases in January 2019 will be based on "national interest and benefit to the people," Malacañang said Friday, November 30. Duterte will carefully study the recommendation of his economic team to proceed with the second tranche of excise tax hikes in petroleum products, Presidential Spokesperson Salvador Panelo said in a statement. "We advise the public to wait for the President's decision in this regard. The President's decision will, as always, be based on national interest and benefit to the people," he said. In October, Duterte's economic managers sought the suspension of the second round of increases in the fuel excise taxes in an effort to tame the surging prices of goods in the country. The earlier recommendation to suspend the scheduled excise tax increases in 2019 was approved by Duterte on November 14. The President's economic team, however, took back its proposal on Thursday, November 29, amid the falling global oil prices. The Tax Reform for Acceleration and Inclusion (Train) Act imposes excise tax increases worth P1 on liquefied petroleum gas (LPG), P2.50 on diesel, P7 on gasoline, and P3 on kerosene this year. The Train Law further raises the excise taxes on LPG, diesel, gasoline, and kerosene to P2, P4.50, P9, and P4, respectively, in 2019. Under the tax reform law, further excise tax increases on fuel products can be suspended when Dubai crude oil prices exceed the $80 per barrel threshold three months before the scheduled increase. 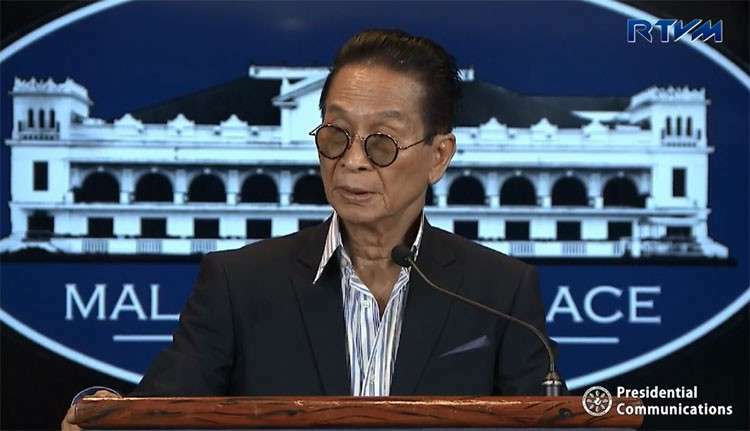 Panelo said Duterte would took into consideration the possible impact of his economic team's latest proposal, which is still subject for discussion in a Cabinet meeting on December 4. "This recommendation is still subject for discussion in next Tuesday's Cabinet meeting. We cannot limit this issue in a purely economic perspective. We note the sentiments of the Filipino consumers and the President will certainly weigh in the social costs involved," he said.